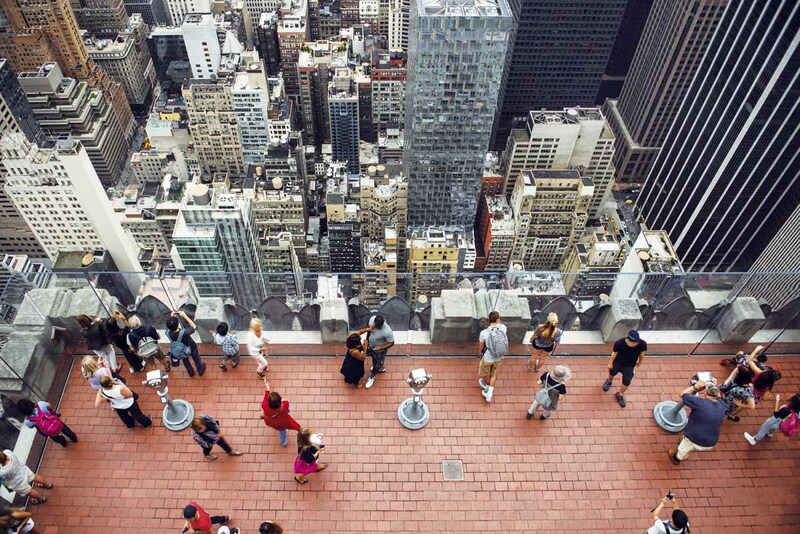 The Top of the Rock observation deck is one of the most popular attractions in New York City. 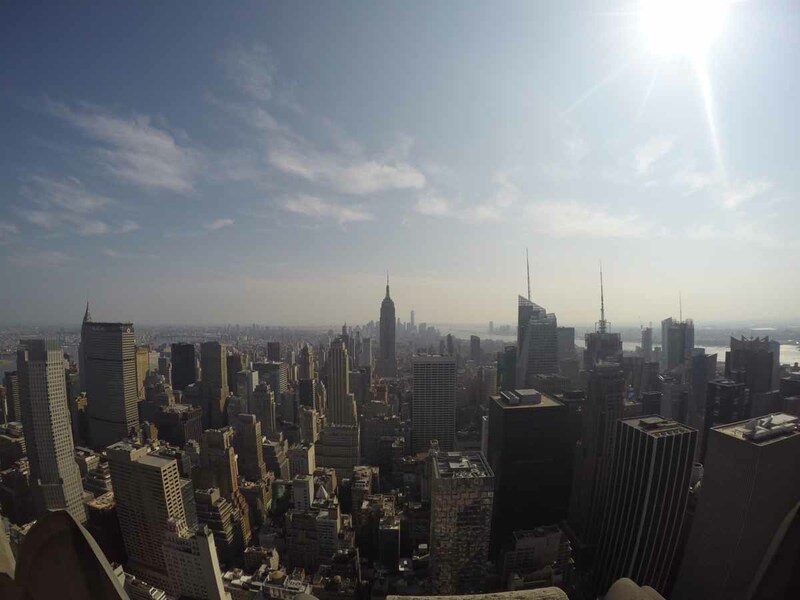 From the top of the Rockefeller Center you will get breathtaking views that stretch for miles in every direction. 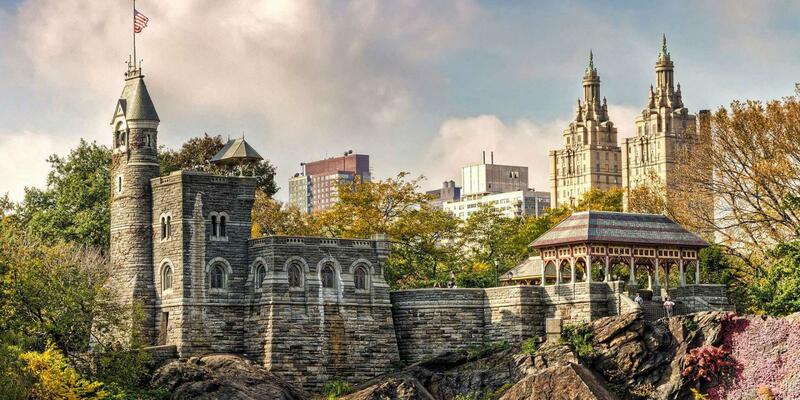 You’ll see New York’s famous landmarks, including the Empire State Building, Times Square, the Hudson River, the East River, Brooklyn Bridge and the Statue of Liberty. 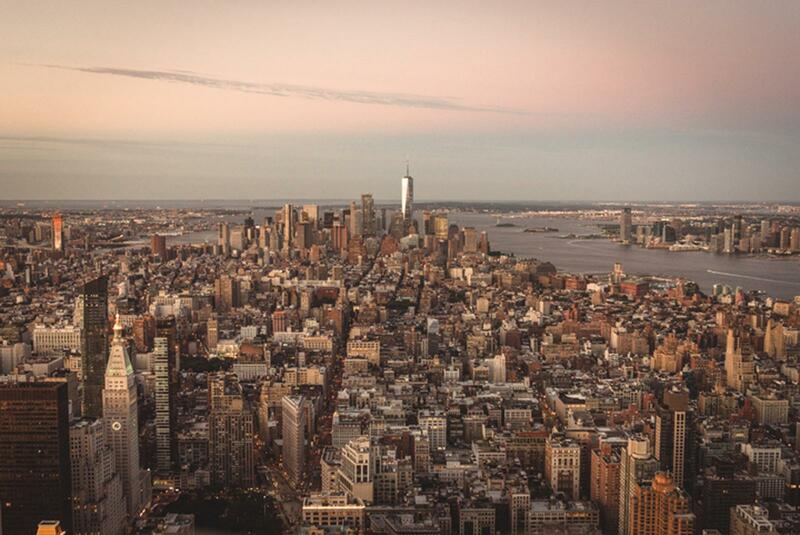 It is often considered the best panoramic city view, as it offers a perfect view of the amazing Empire State Building. The GE Building was completed in 1933 as part of the Rockefeller Center. The famous Art Deco architect Raymond Hood, led the team of Rockefeller architects. The GE Building is one of the most famous and recognized skyscrapers in New York. The observation deck atop the skyscraper Top of the Rock, reopened to the public on November 1, 2005 after undergoing a $75 million renovation. It had been closed since 1986 to accommodate The Rainbow Deck, which was built to resemble the deck of an ocean liner and offer sightseers a bird’s eye view of the city. 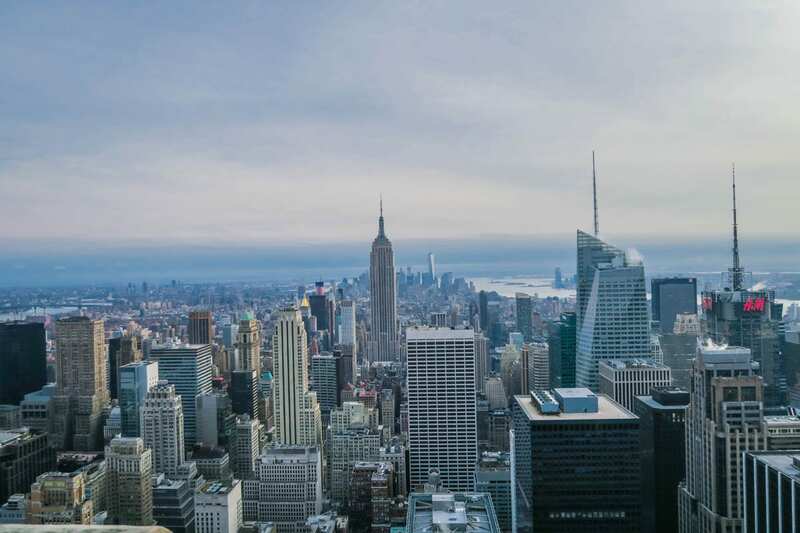 It was also built to compete with the 86th floor observatory of the Empire State Building and is nowadays widely regarded as the skyscraper with the best view in NYC. 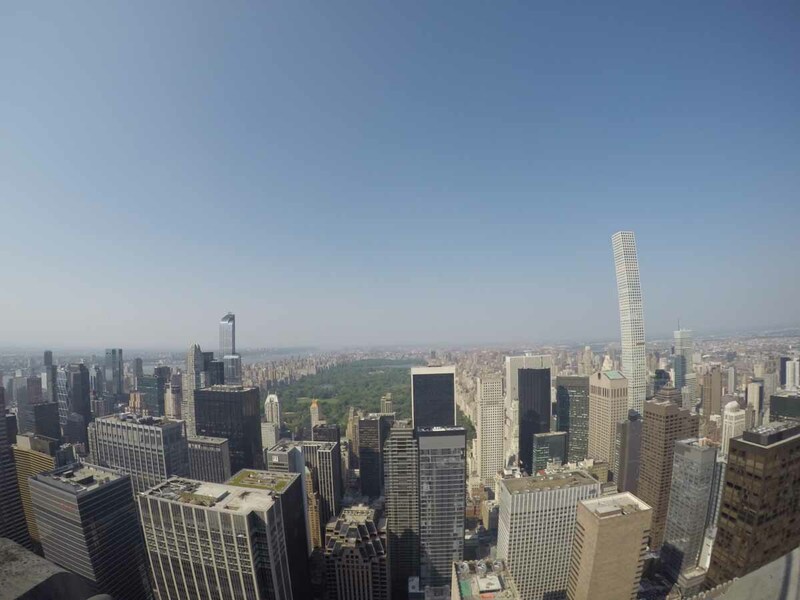 You can step out onto the observation deck via entry points on both the 67th & 68th floor. Large glass panels allow you to get an uninhibited impression of beautiful Manhattan far beneath you. You can also go up another few floors to the 70th from where you can view past the lower observation decks right to street level far beneath you. 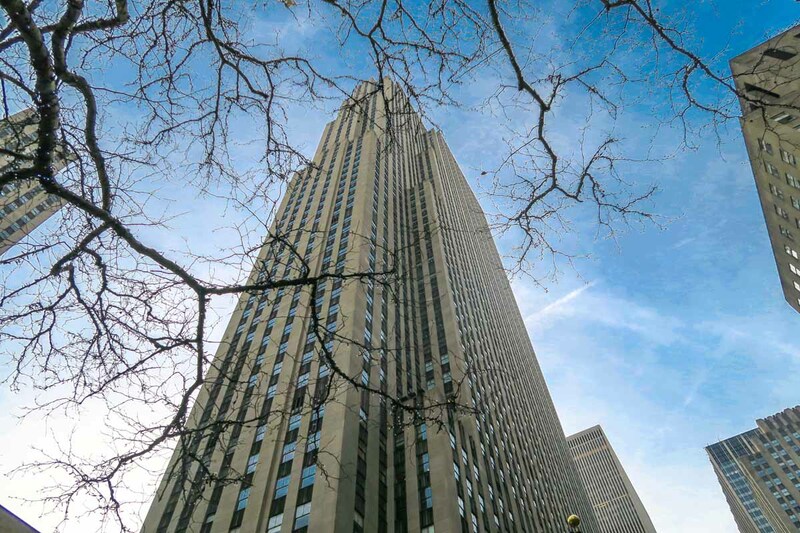 When is the perfect time to visit the top of the Rockefeller Center? Day or night – it doesn’t matter – visiting the Top of the Rock Observation Deck is always a special experience. While this does’t seem like much of an answer, when you visit really depends on the light you would like to see the city in. There are not often queues you have to wait in due to the improved system of receiving a time when you buy your tickets. When this time comes you will be let straight up to the observation deck. 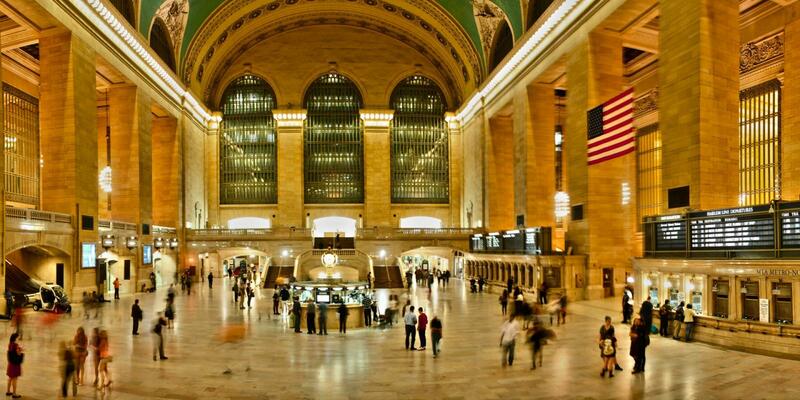 A larger platform compared to the Empire State Building also ensures shorter waiting times. When the weather is nice you can see all the way to Brooklyn and New Jersey, as well as over the whole of southern Manhattan and Central Park to the North. At night you find yourself above millions of sparkling city lights and advertisements. We recommend trying to get a time to visit half an hour before sunset, this will guarantee great lighting for pictures. You also get to see the best of both worlds as the city grows dark until the lights start sparkling on the its many skyscrapers. 7am – Midnight. Make sure to check the holiday opening hours below as they differ from the regular opening times. Buying tickets for the Top of the Rock is easy. You can either purchase a timed ticket to avoid lines or purchase an unscheduled ticket and redeem it at the time of your choice. You can also purchase a Sun & Stars ticket and visit twice in one day. Alternatively, you can also upgrade to the Premier Pass and receive a free viewfinder and souvenir digital photo once you arrive. All you need to do is have a look and figure out which one you would like to buy. Find the best prices here. 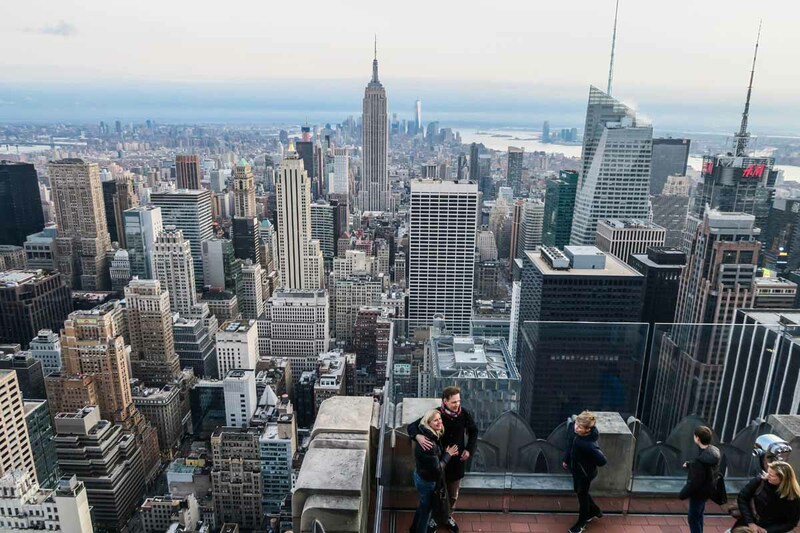 By the way: as an owner of the New York Pass the entry for the observation deck is included. 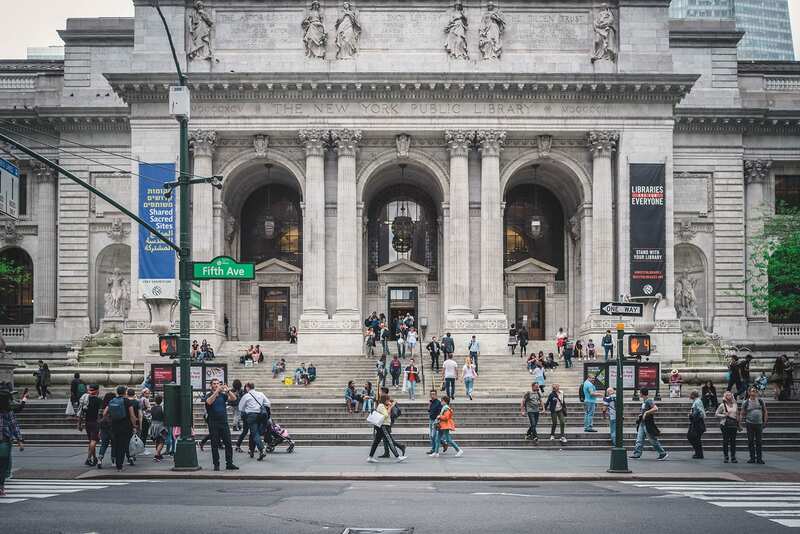 If you want to find out more about the New York Pass check it out here! 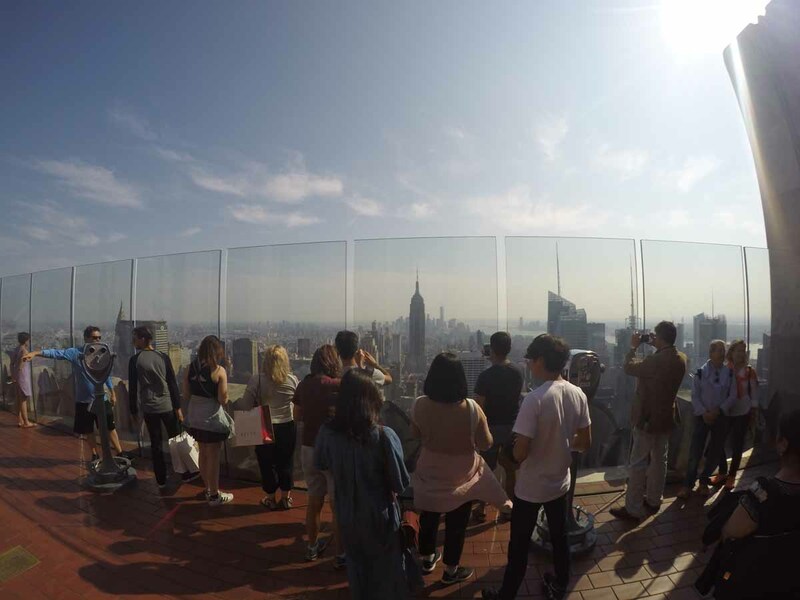 Even if you purchase your tickets in advance, schedule half an hour until you get up to the observation deck, as the lifts can only take a limited number of people at once. How long you stay is up to you – The tickets are not limited by time. Before you are allowed to enter the observation deck you have to pass a security check. So please make sure, that you don’t have any dangerous items with you: No glass and no tripods. Our conclusion: Top of the rock is a better alternative to the Empire State Building’s observation deck! You get in quickly and don’t have to wait in a long queue. The view of the Empire State Building from the Top of the Rockefeller Center is breathtaking, especially at night.